Краткое описание: A terrorist group calling itself the Crying Lions is about to take over the world with its mighty satellite and Jean-Luc Cougar is the only one who can stop it. As Jean-Luc, a covert operative working for the Strategic Covert Actions Team, you are responsible for taking back a Lions-controlled base and regaining power of the satellite. Some of the weapons you'll have to acquire and use to defeat the terrorists are handguns, shotguns, and machine guns, though you'll also need to access such materials as explosives, detectors, flashlights and medical kits in order to succeed. 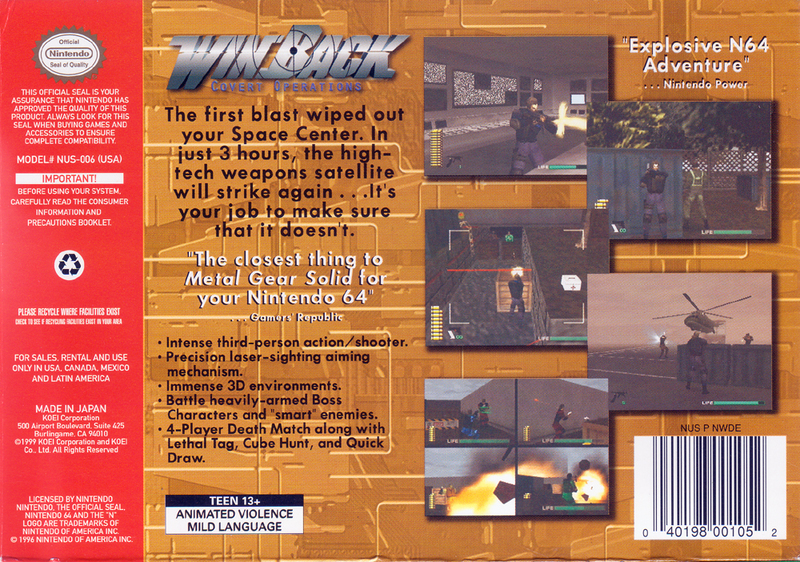 A refreshing take on the traditional action game, WINBACK requires as much stealth and strategy as it does reflexes and use of weaponry. The game features six different multiplayer modes, supporting up to four players: Death Match, Lethal Tag, Quick Draw, Cube Hunt, Team Battle, and Point Match. You select your difficulty level and you can even start off in a Tutorial mode to get the controls down. A terrorist group calling itself the Crying Lions is about to take over the world with its mighty satellite and Jean-Luc Cougar is the only one who can stop it. As Jean-Luc, a covert operative working for the Strategic Covert Actions Team, you are responsible for taking back a Lions-controlled base and regaining power of the satellite. Some of the weapons you'll have to acquire and use to defeat the terrorists are handguns, shotguns, and machine guns, though you'll also need to access such materials as explosives, detectors, flashlights and medical kits in order to succeed. 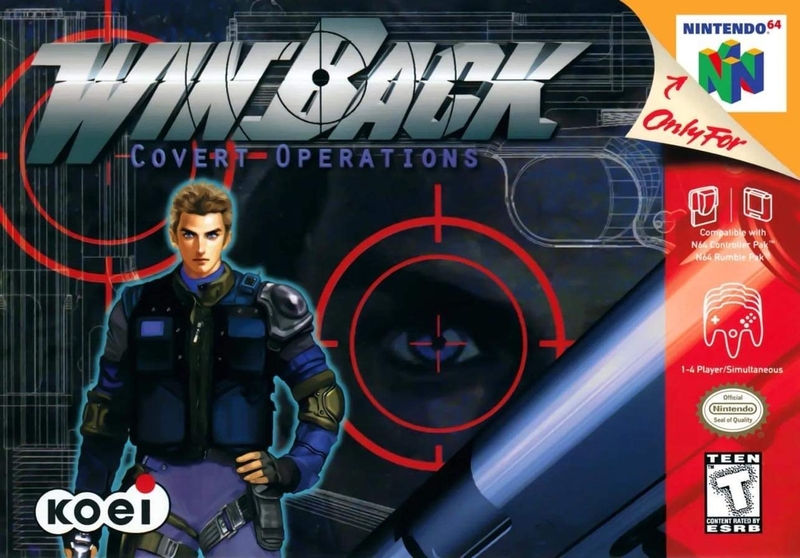 A refreshing take on the traditional action game, WINBACK requires as much stealth and strategy as it does reflexes and use of weaponry. The game features six different multiplayer modes, supporting up to four players: Death Match, Lethal Tag, Quick Draw, Cube Hunt, Team Battle, and Point Match. You select your difficulty level and you can even start off in a Tutorial mode to get the controls down.